Our family was so excited to go see the new Live Action movie of Beauty and the Beast. My wife says the original Disney cartoon version, was a seminal part of her childhood! And seeing my daughter’s excitement about seeing the movie was just a precious thing. And that’s why I knew it was the perfect thing to watch for a special “daddy & daughter” date – now that it’s available on Blu-Ray! And for extra fun, we started our daddy & daughter date by making a fun DIY craft. This DIY Mrs. Potts Craft, is easy to make, and then wipe off and try another design! I loved watching my daughters creativity! And this Beauty and the Beast craft is dad approved… it takes very few supplies or skill! A plain porcelain Teapot. You can order online or find a cast off at a thrift store! Just make sure your Teapot is clean to start. Then use your markers to design ‘Mrs. Potts’ just the way you want to! Have a small matching teacup? Make a ‘Chip’ cup! 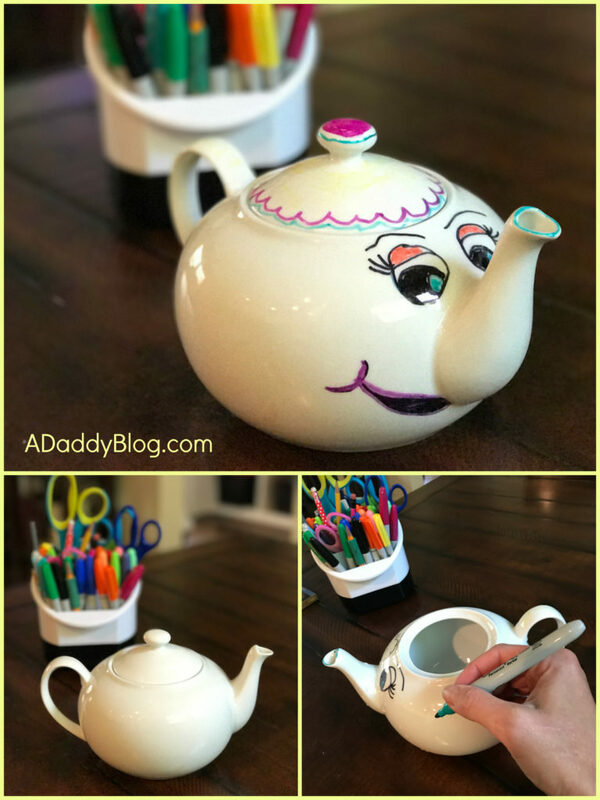 *TIP * We used permanent Sharpie on our Mrs. Potts to experiment with how that worked. It works great, and after it dries it does not smear. In our case it was still wipe-able with water and rubbing, or an alcohol wipe. But if you go that route, we recommend that you wipe within 24 hours, or risk a more permanent look! 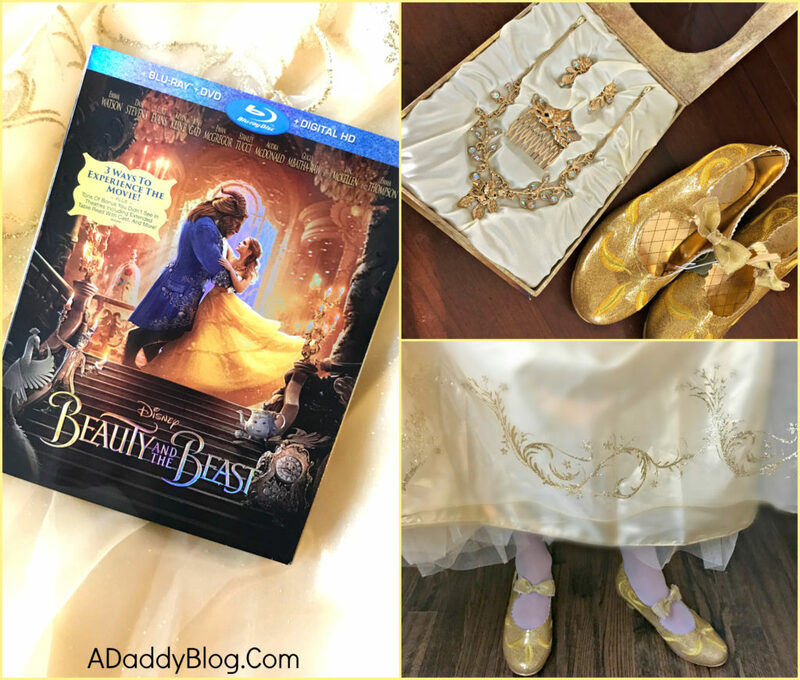 The next part of our daddy & daughter date night was getting all dressed up as the characters from Beauty and the Beast. 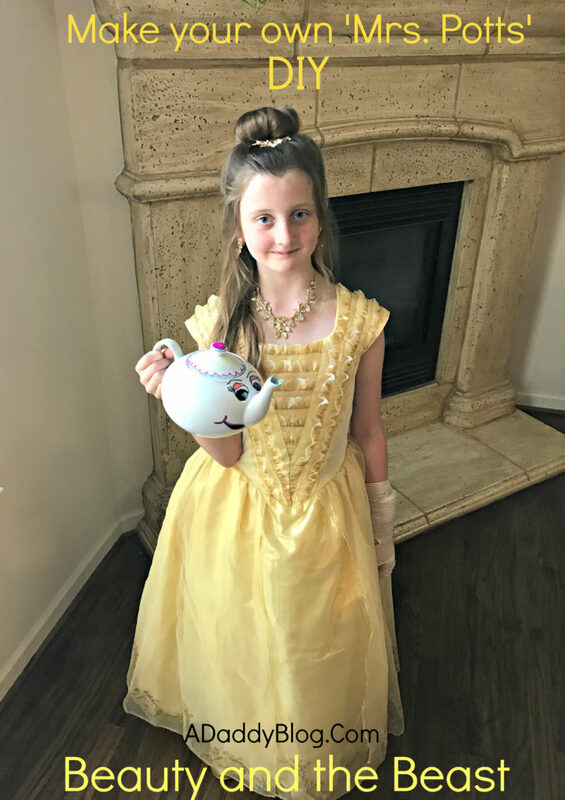 My daughter took my breath away walking downstairs in her Belle costume, jewels and shoes! How am I going to get through her wedding day, someday? Lord, help me. Last, we watched Beauty and the Beast on Blu-Ray, and cuddled up on the couch! We loved all the movie extras especially the feature where Emma Watson (Belle) introduces lots of the women who worked on the movie behind the scenes! I love my daughter seeing all the career possibilities there are for her! The sky is the limit! 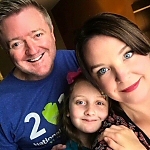 While this was a really special dad & daughter time, with dress up and a craft before the movie – I look forward to simply watching the Blu-Ray with her many more times in the future. I’m grateful that there are 3 ways to watch. Blu-Ray, DVD, and Digital HD for when we are on the go! More chances to have time with my girl. I see a lot more cuddles and movie time with my little Belle in the future. 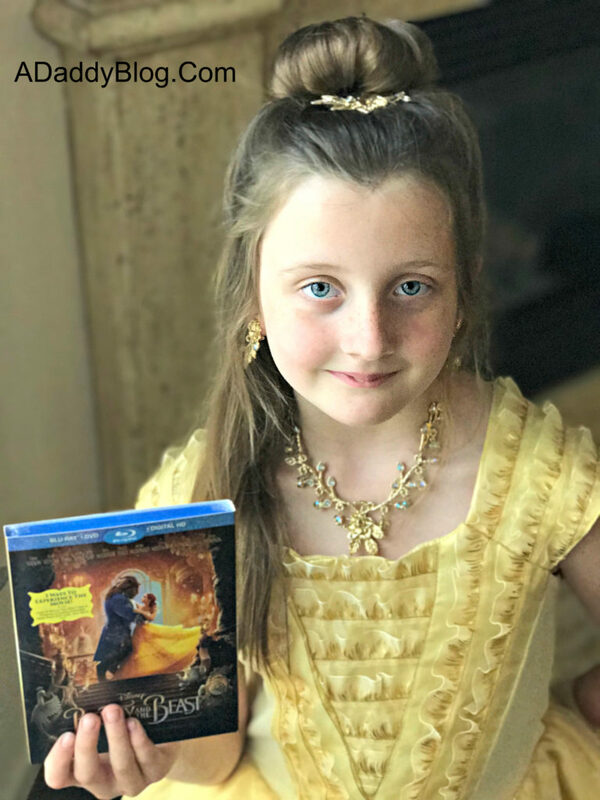 Thanks to Disney for partnering with us on this post and providing the DVD and costume accessories to facilitate this post. All opinions are my own.